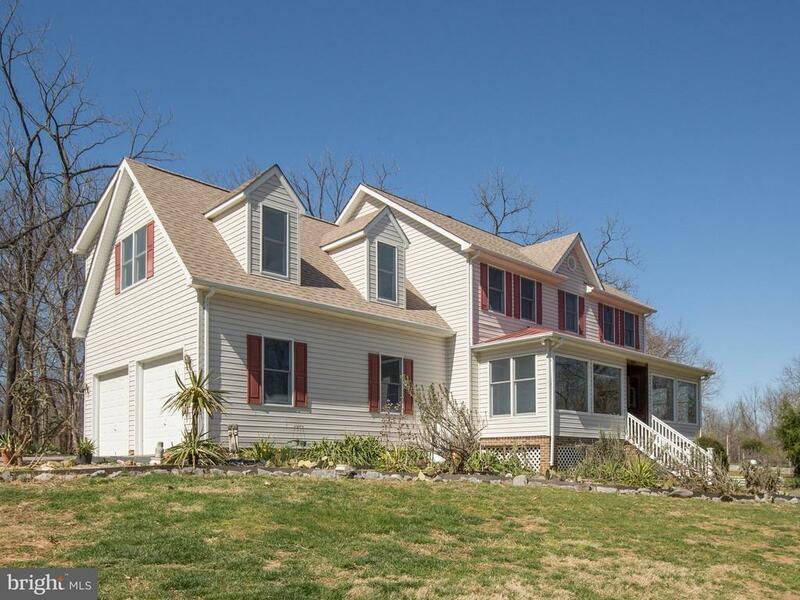 Well maintained custom built 2900 plus square foot home on 5.5 unrestricted landscaped acres. Freshly painted throughout. New granite counter tops in kitchen. Large screened rear porch and sunroom. Partially finished basement. Unfinished basement is plumbed for bath and 2nd kitchen.Private yet close to Route 7 for an easy commuter.